As with pattern this year, events dont seem to work in favour of Chennai & North Tamil Nadu. 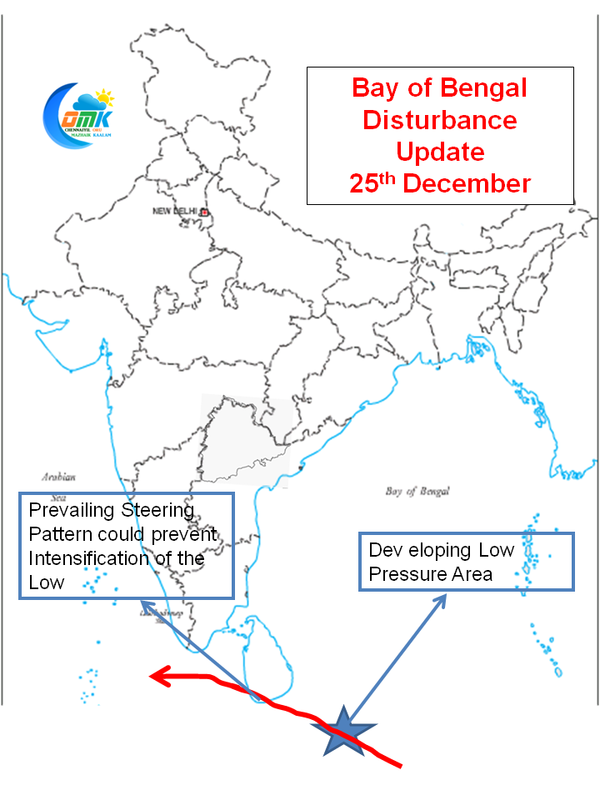 While the majority expectation was for the low to form closer to Andaman Islands, the low has developed SE of Sri Lanka. 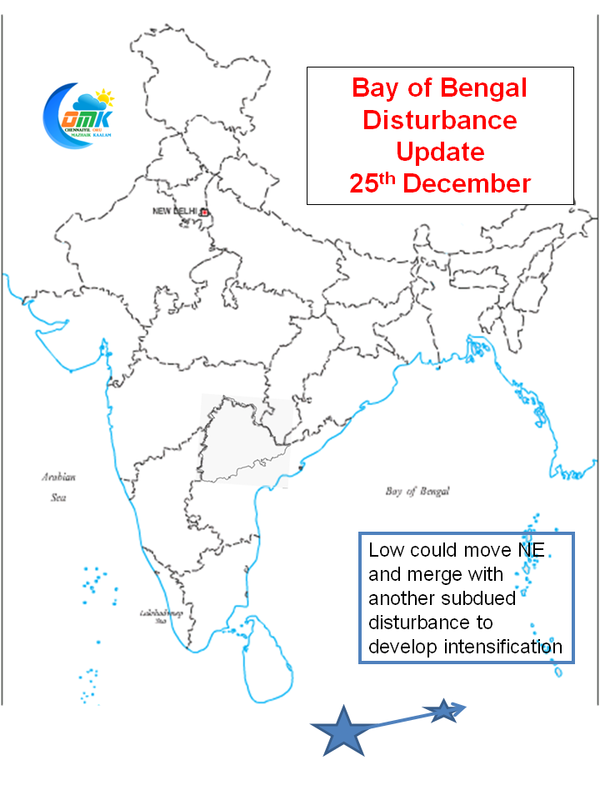 With the expected steering pattern available it is at a location where it cannot develop into a system of good intensity and provide wide spread rains. Some models expect the system to move NE in search of warmer waters and possibly take up the energy of another subdued vortice (the one orignally expected to develop), this process of power struggle in the Bay has resulted in a delay in the disturbance developing into a proper system. 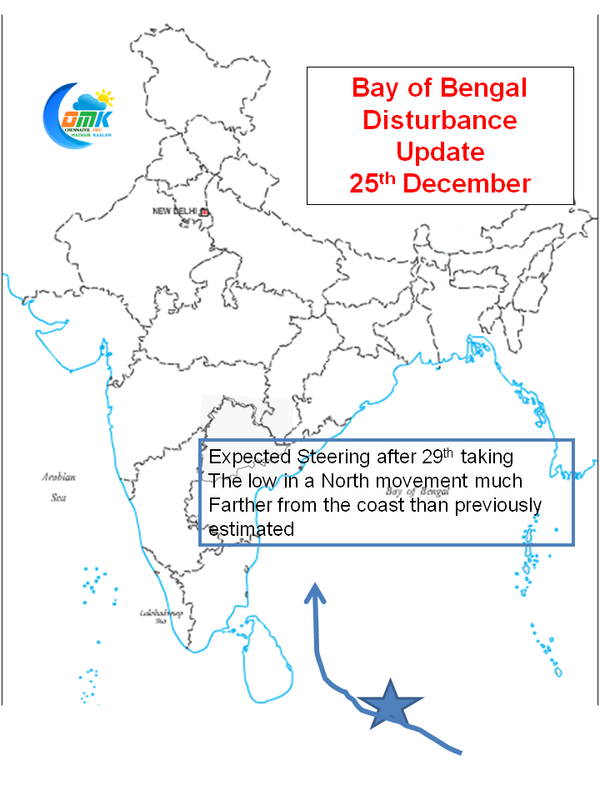 As we had put a couple of days the delay is spoiling the chances for rains to Chennai. 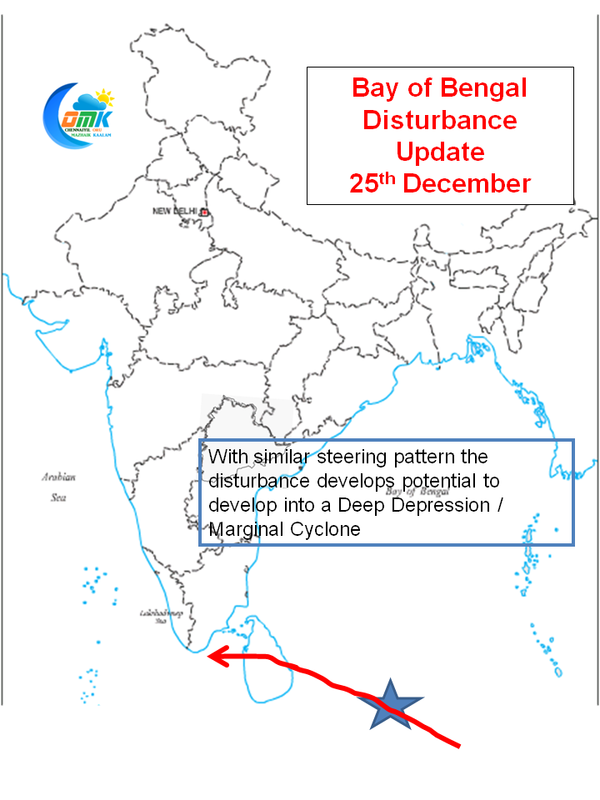 Every passing day means lesser probability of this disturbance influencing Chennai. We would like to be the harbinger of hope but as things stand we would be lucky to get anything from this system. COMK will continue to monitor it and hopefully for all our sake a turn for the good happens in the next couple of days.